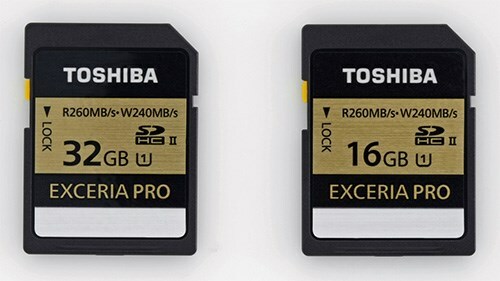 Toshiba has announced that it will soon release a series of the world’s fastest SD memory cards, that will offer a write speed of up to 240 MB / sec. 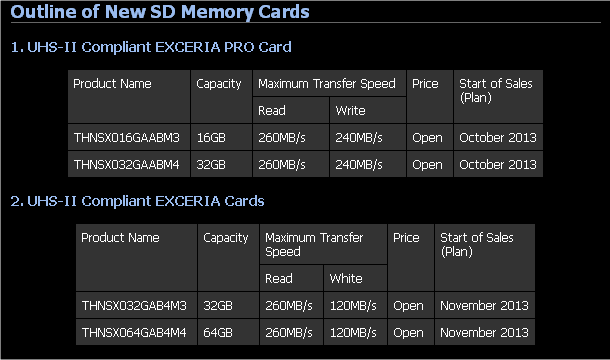 Yesterday, the Japanese company said that its new memory cards Exceria Pro will be targeted at professional users such as photographers and will allow you to record very high-resolution photo is multi-threaded mode. Speed ​​card reader will be up to 260 MB / s, they will be produced in the tank for 16 and 32 GB. It is expected that on the high-speed cards market will appear in October of this year, and will be sold in Japan also a 64-gigabyte card, which will cost about $250 (25,000 yen), while the low-end cards will cost from 15,000 yen. The company said that now the memory card market, especially in the consumer sector is largely standardized and consumers simply do not know the difference between manufacturers. Therefore the issue of creative solutions with a very high capacity and high speed – this is one of the ways to stand out from the mass producers. In Toshiba say that the latest model cards are compatible with the specifications of UHS-II, which can transmit data at speeds up to 312 MB / sec. The corresponding specifications were approved in January 2011. 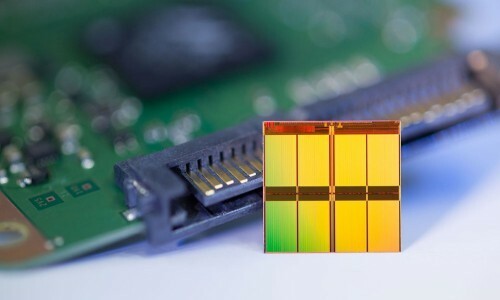 Yesterday, another memory chip maker – American Micron Technology, announced that began shipping test samples chip NAND-memory created on 16-nanometer process, and having a capacity of up to 128 Gb. The company said that the new chips – a response to customer requests for higher capacity chips in a more compact form factor. 16-nm MLC NAND-chips – is “the most advanced from a technological point of view of products,” which are designed for use in applications requiring high capacity, but the space is very limited. This, in particular, smart phones, tablets or recorders. In addition, the data in the future chips will be placed in the consumer SSDD-drives, and external storage systems and other products. Company Micron expects to begin mass-deployment of its 16nm NAND in Q4 2013.